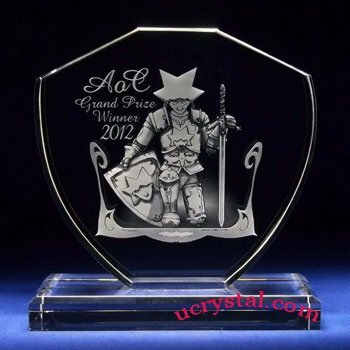 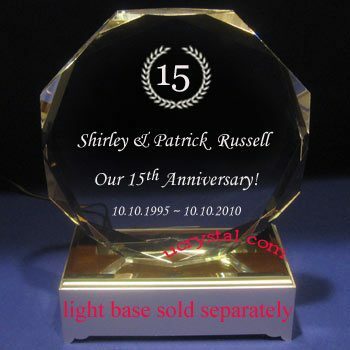 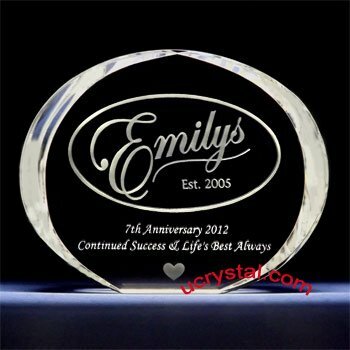 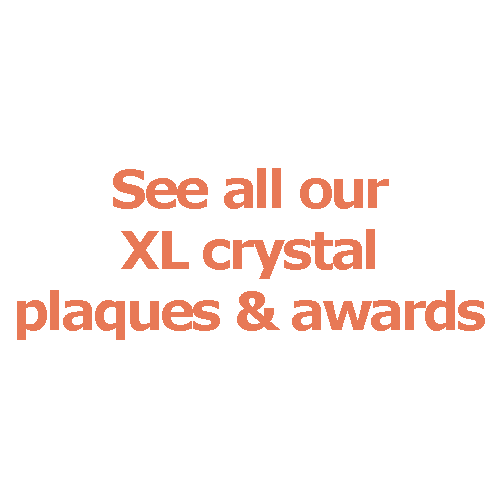 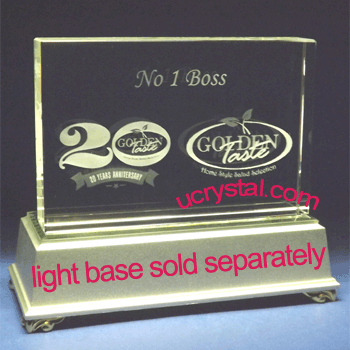 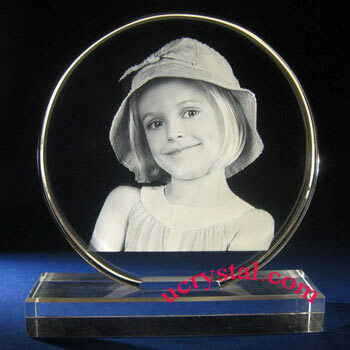 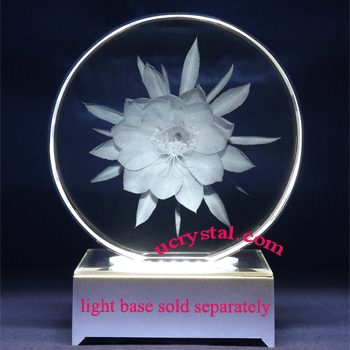 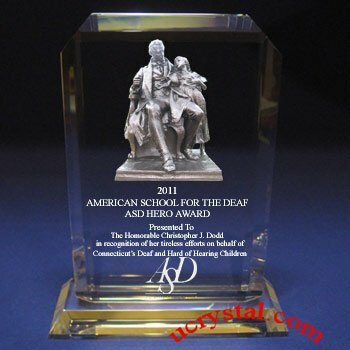 Extra large, octagonal, multi-facets without base corporate crystal plaques. 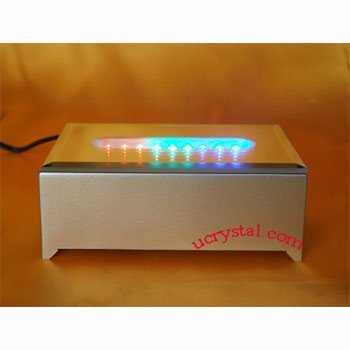 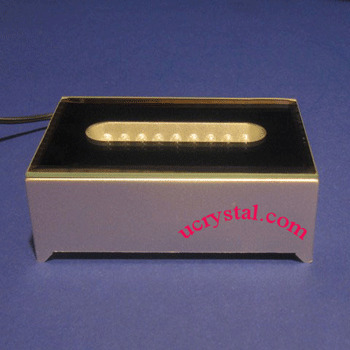 Elite crystal octagon, multi-facets without base. 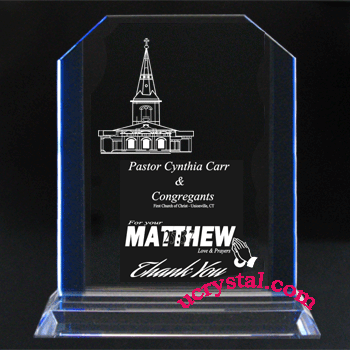 Size: 5-3/4" width x 5-3/4" height x7/8" thickness.